The strongest El Nino since 1997/1998 has already had a pronounced effect on the weather in the south. With temperatures colder than normal and large storm systems bringing rain to the area many of the guides are praying for mercy. Running to warmer states in the gulf and begging their clients to go out on a warmer day. While we heard their desperate screams I find it hard to sympathize with someone who thinks that 49 degrees is cold, hell, that is balmy. Before we get into all of that nonsense we are in Louisiana, and food comes first. The most important meal of the day has always been breakfast, and that is where we start. 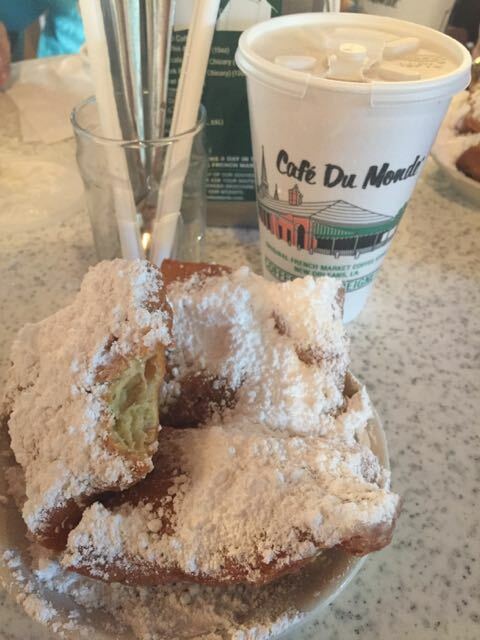 Beignets offer all the nutrition you need to get your day started off right. 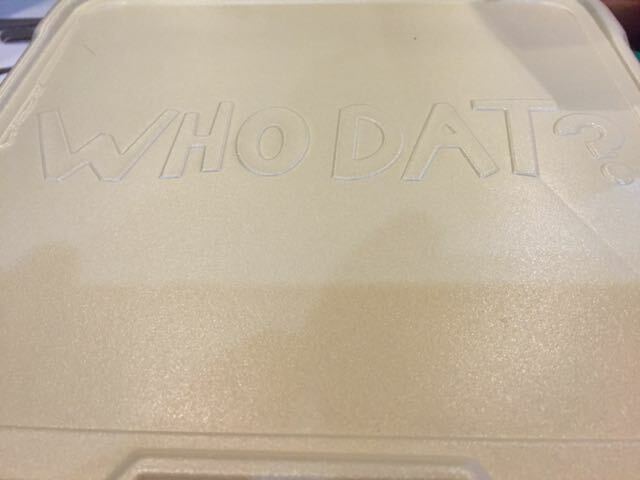 No fishing day in Louisiana is complete without some authentic food. Shrimp and grits have been a southern staple for decades, and is a dish that can be used to compare one restaurant to another. 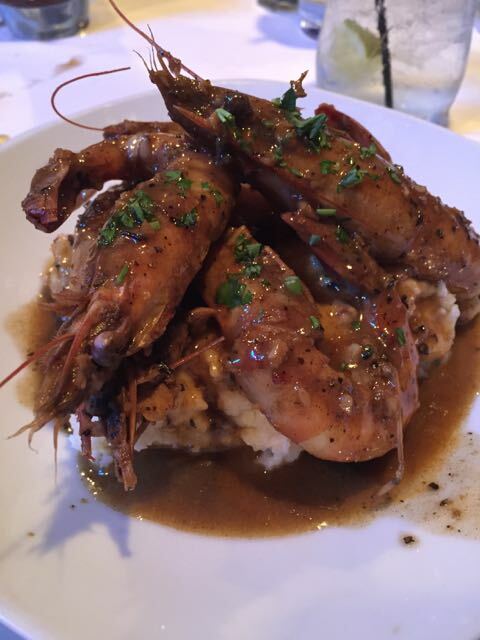 We dined at a small establishment in Chalmette where we were told the best shrimp and grits in Louisiana is served. While I haven’t had enough shrimp and grits to say for sure it is the best, it certainly was the best that I had ever had. Better weather manifested itself the next day which made our guides much happier. 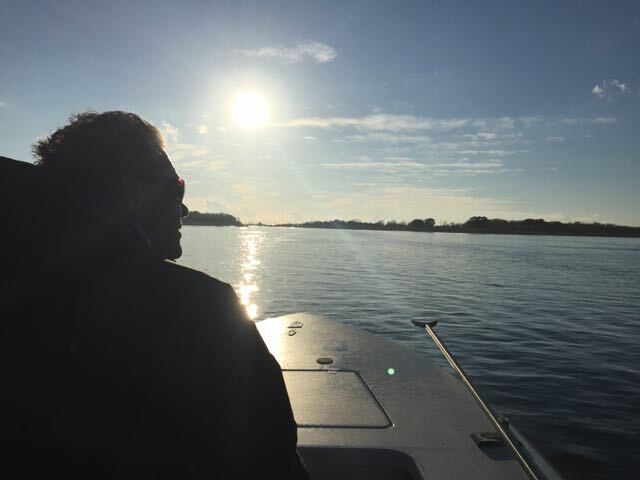 The clouds lifted and we had visibility for miles which helped us snipe a few Redfish off the casting decks of the skiff. Redfish stand little chance when they are caught out in the flats on a bright day. 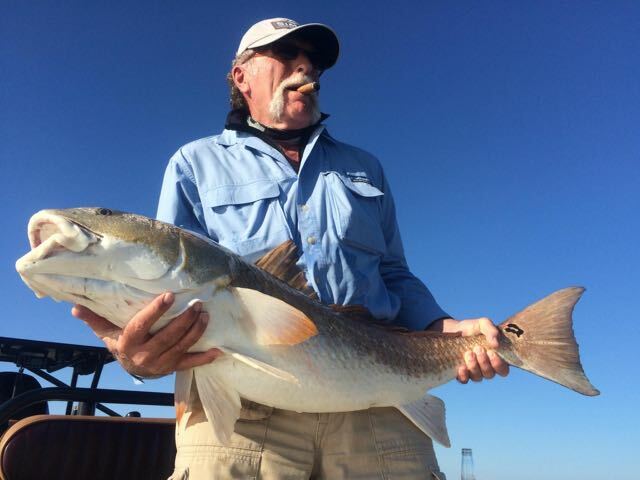 Unlike a Carp, few things really spook the Redfish, which makes it a great target for my below average angling prowess. 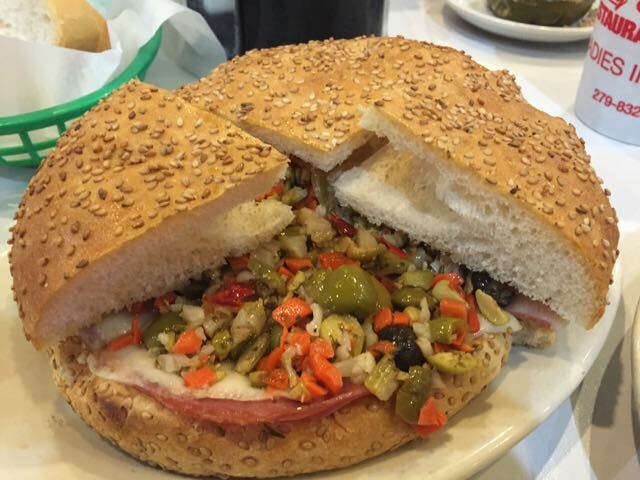 Arguably one of the greatest things to come from the south is the Muffaletta sandwich. If you are unfamiliar, it generally consists of a loaf of bread with salami, mozzarella, ham, provolone, and the olive spread; consisting of carrots, cauliflower, olives, oil, and spices. True to form for the area, the sandwich comes in one size, damn huge. 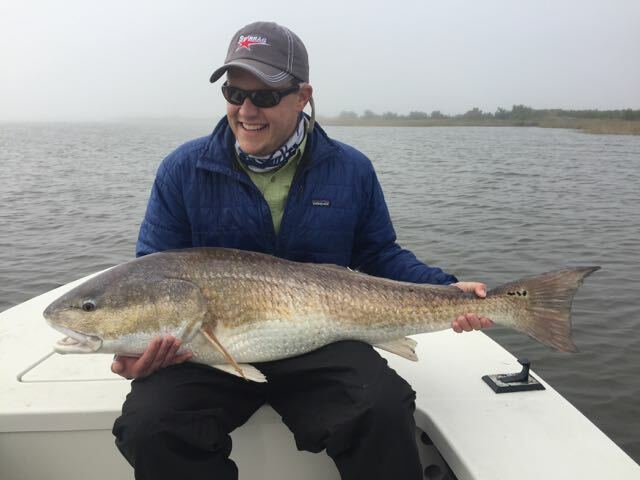 Even with the incessant rains that El Niño has brought to southern Louisiana the fish were still around, albeit in smaller numbers. The winds and rain have made the water more off color than is normal, further reducing the shots you might come across any given day. The locals tolerance for the unusual weather was rather pathetic, but coming from the rockies perhaps we were just well conditioned to cold weather angling. 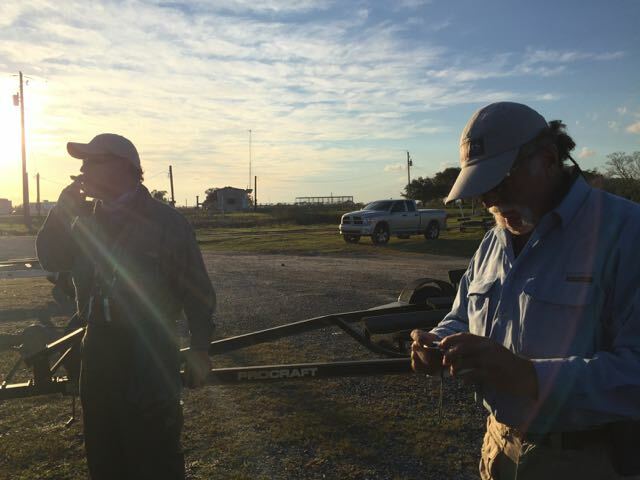 With a vast area in which to fish and a season that spans fall and winter there is a lot to like. Who dat El Niño?? ?